Loopmasters is offering a free sample called Designer Dance Collection. It consists of one-shots picked from various library packs released by RV Samplepacks. The company offers excellent sample libraries that are created by experienced DJs and producers. Take a look at their page on Loopmasters website – it worths the effort. Designer Dance Collection comes with a total of 149 one shots and 5 fill-ins, divided into folders: Bass, Drums, FX, and Synths. Those are high-quality samples and can be used in all electronic music genres, such as techno, dubstep, electro, house, etc. Bass folder contains 21 processed bass shots. All files are named with their proper pitch, which makes everything a lot easier. Drums folder comes with seven subfolders: Claps, Cymbals, Hats, Kicks, Perc, Snares, and Fills. All self-explanatory. 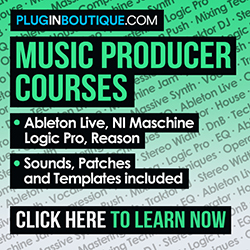 So, it’s easy to grab your preferred drum parts and create a custom kit using renowned programs, such as Battery or Ableton Live. FX folder has 13 samples, from crashes to risers and uplifters. Synths contain 29 files, most of them are chord samples. Thankfully, each file has the proper chord name. All synth samples sound very familiar – it will remind you a bunch of house, trance, techno and dubstep tracks, for example. Loopmasters often offers great packs for $1 (98% off). So, it’s a good idea to check their website from time to time.